My wife Kathy and I work together as a close creative team writing the Kydd titles and my other books. George Jepson, the editor of the online magazine Quarterdeck, recently asked Kathy would she like to write a piece about Team Stockwin from her point of view. The result was this article, published in the latest issue of Quarterdeck, and reproduced with the kind permission of Mr Jepson. Julian and I met back in the mid-1970s in Australia as two young psychologists at the Tasmanian Education Department Assessment Centre, a special facility for diagnosing and treating students with learning or behavioural problems. But there’s a bit more to the story than that…I’d had my driving licence only two days and just driven my first car 200 miles from my home town to start a new job. I was a bit of a nervous wreck when I arrived having narrowly escaped a nasty traffic accident. I had come for an interview with my boss, the head of the Centre, but he had been called away on some urgent matter so I was sent to the staff room to have a coffee until he was available. A year or so later we decided to move to Hong Kong, Julian to begin post graduate studies, me to take up a position in journalism. We lived in that fascinating city for over ten years then moved to the UK where Julian worked on a high intensity NATO project and I became a head hunter, among other roles. The NATO work was very stressful and after successful completion I suggested to Julian that he might try his hand at writing. To this day I’m not quite sure what prompted me to do this as I didn’t really have a lot to go on. I guess the main reason was his great passion for and knowledge about the sea, built up over half a lifetime. The other was a gut feeling that there was a great talent there waiting to be released and nurtured. Perhaps this came from my experience as a commissioning editor, or maybe the incredible letters he used to write. The funny thing is that once the Kydd books came out many people told me they weren’t surprised at his literary talent. One of his nieces in Australia still remembers Julian entrancing her with magical stories when she was very small. And at a reunion of the Indefatigable Old Boys Association one of the members told me that Julian used to keep them quivering under the bedsheets in their dormitory at night with scary tales. Of course the writing didn’t just flow from his pen, so to speak. Julian took some time to learn the craft of writing and undertook deep research about the Great Age of Fighting Sail. But from the beginning he wanted the books to have his voice, with the sea itself in a central role, and the characters to be from before the mast. He plotted out all the elements of the ‘book’ and we realised it was not a book, but a series. He would follow one man’s journey from pressed man to admiral, initially over a dozen books. This number has now grown considerably, with eighteen books written to date, plus another four or more in the pipeline. Tom Kydd came into existence reasonably fully formed, and conveniently, was born in Guildford, the Surrey town where we lived at that time. His side-kick, Renzi, took a little more time to evolve but I think he complements Tom beautifully, especially in the way that both came to need each other, drawing on the strengths of the other. I sometimes think Julian has salt water coursing through his veins – he has such a deep and abiding love of Neptune’s Realm. Through him I have grown to appreciate man’s relationship with the sea and in particular share his admiration for the skills and courage of the eighteenth century seaman. We have spent some time in sailing ships – a three-masted barque in the Irish Sea in a Force 8 gale comes to mind… And I guess given my druthers I would rather sail in my imagination, via his writing. My role in Team Stockwin is pretty varied, ranging from sounding board to first editor to marketing and promotion initiatives. We have evolved various techniques of working together over the years and feed off each other in many ways. I have to say, though, that in the early stages of Julian’s development as a writer he felt so protective of his work that he was quite reticent to take on board my editorial comments and make changes. As well as a blue pencil there was a lot of blue air! One of the particular aspects of the series I admire is the way Julian has grown Kydd – from a naive young wig-maker who had never been to sea – to (so far) a post captain at the top of his profession. Each of the books has added to Kydd’s maturity and world view. But while now at a level in the navy he could never have aspired to once, at heart Tom Kydd will always have a can-do and playful nature unsullied by success. He’s both a man’s man and someone with great attraction to the females he meets. Of course one of the great privileges of our work is undertaking location research. We’ve literally travelled the world with Tom Kydd – Australia, South Africa, the Mediterranean, the Baltic, Canada…to name just a few destinations. When we go we have a strong focus to recreate in our mind’s eye the world Tom Kydd would have known. You have to peel away the trappings of modern life and dig down to Georgian times. Some places are more challenging than others in this respect but it is a most engaging exercise. On these trips Julian is more drawn to details like sailing craft and sea lore and I focus on the social aspects like what did people eat and drink, health and disease, but there is always quite a bit of overlap in our quarrying. For the research for Persephone we travelled to Iceland, a truly fascinating country. In some parts the landscape is almost lunar from volcanic activity. Other areas still bear testimony to hard times in the past such as fishermen’s huts cut out of turf. The world of Thomas Kydd is so real to both of us now that it is like a parallel universe. Tom, Renzi and all the others are both our creations – and people we are privileged to know. Long live Tom Kydd! There are still just a few Collectors Sets available for Persephone and The Baltic Prize but these are strictly limited to 500 Sets so don’t delay to avoid disappointment. Sim Comfort’s eclectic treasure trove of coins, medals, paintings, swords and other naval items has been built up over many decades. An American by birth, Sim joined the US Navy at age 18. The US Naval Security Group sent him to Guam and later to London, where the National Maritime Museum sparked a life-long love affair with British naval history. His interest in collecting named Davison’s Nile, Boulton’s Trafalgar and Earl St Vincent’s Medal of Approbation medals began in 1970 when he purchased a bronze-gilt Davison Nile medal, awarded to George Thompson, HMS Defence, 1798. Sim had to know who made these marvellous medals, who received them, who designed them, who paid for them, how were they distributed, what were they like. Matthew Boulton’s Naval Medals answers all these questions. The book is an in-depth study of Boulton’s seven medals which include the Otaheite (Resolution & Adventure), St Eustatia, Glorious First of June, Davidson’s Nile, Ferdinand IV, East St Vincent’s and Boulton’s Trafalgar medals. Matthew Boulton was a prominent Birmingham industrialist. His first medal was the Otaheite medal conceived by Sir Joseph Banks, which was to be presented to peoples yet discovered on Captain Cook’s second and third voyages. Later, Boulton had mastered the power of steam in producing medals with remarkable results. Working with the talented die maker and designer of medals, Conrad Heinrich Kuchler, new levels of excellence were achieved. Five medals owe much to Kuchler: Earl Howe’s, the Davison Nile, Ferdinand IV, Earl St Vincent’s and the Boulton Trafalgar medal, arguably the finest British naval medal ever struck. As well as a wealth of information on the actual medals, this book recounts the life stories of the men who received them, along with battle details of both the Nile and Trafalgar. Included for the Nile are the accounts by the American-born Captain Ralph Miller who commanded Theseus and the French artist and author Vivant Denon, who witnessed the battle. Sim has published a number of fine reprints on naval subjects, including David Steel’s ‘Elements and Practice of Rigging and Seamanship.‘ He has also authored three other important books based on his collection, ‘Forget Me Not‘ (a study of naval and maritime engraved coins and plate), ‘Naval Swords and Dirks‘ (British, French and American weapons, 1730-1830) and ‘Lord Nelson’s Swords‘. Discovering Kydd: What’s Your Story? The response was overwhelming, with great variety in how readers came across my books, ranging from a hotel library in Atyrau, Kazakhstan, to a gift from a loving American mother to a homesick son in Japan, to a recommendation from an external auditor! Her Lioness mentioned to me she’d read a book with the title Kydd and enjoyed it. 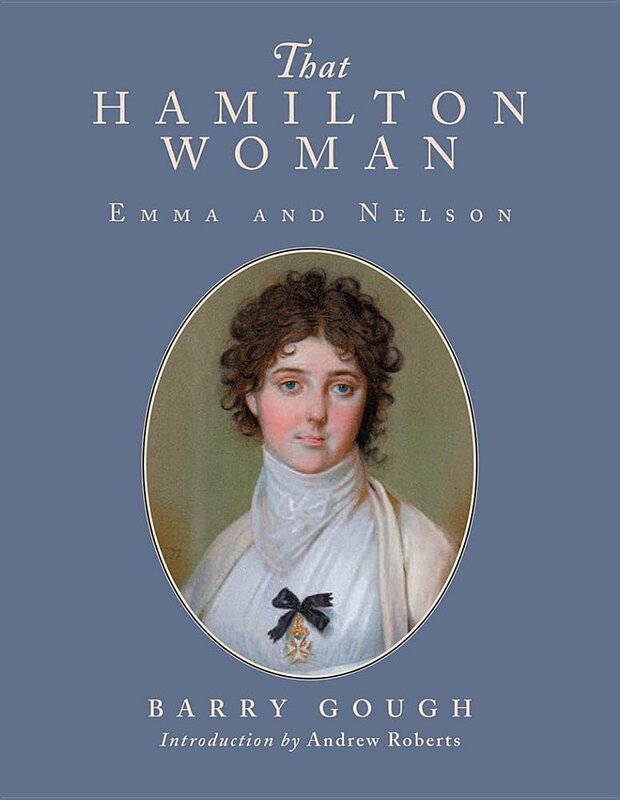 As she usually runs a long sea mile from naval fiction, my curiosity was piqued – and now I’m hooked! My step son put me onto the series knowing I enjoyed naval novels and history of being in the Royal Navy. Never looked back. Somehow the Historic Vessel Vega showed up in my Facebook page. They posted a picture of you with HMS Victory in the background. I had read all of Patrick O’Brian’s books and the accompanying comments comparing your books to the Aubrey/Maturin series piqued my interest. I thoroughly enjoy both, I have to give Kydd the edge over Aubrey. Found Kydd in a bag on the street. Took it home and read a few pages and knew I must keep reading. Returned the lost book to the library and from there on I have enjoyed. I was being audited for ISO 9001 and was chatting to the external auditor and mentioned I loved the novels of Patrick O’Brian. The auditor (can’t remember his name) said he served with a chap called Julian Stockwin who was writing a series of novels that I might enjoy. The rest, as they say, is history. Seaflower. I was looking for a book in an airport departure lounge and was seduced by the superb Geoff Hunt cover illustration. I was in the new hotel in Atyrau, Kazakhstan in 2002, it was also the office with a small library for expats, there was only about 20 books but this one stood out as it had been read thoroughly and looked extremely dog eared. I took it out and thought after reading the blurb about Kydd that it reminded me a little of Hornblower which I enjoyed as a young man. However I think I read Kydd in two or three nights and that was the beginning of a long and fruitful association with this character from Guildford. It was during a deployment of the South Atlantic and West Indies in 2002 on-board HMS Newcastle (The Geordie Gunboat). Perusing the ship’s library when Kydd jumped out at me, was a little bit roughers off the Falklands. Read every single one since. I think it was when Kydd was reviewed on the Historic Naval Fiction forum, back in 2001. I went out and found a hardback copy, first edition, and from then on I was hooked. I lent the book to a friend, who shortly after got himself a job working in Saudi Arabia, and I lost touch with him, but really missed my book, so I went out and bought another first edition. Subsequently he came back to the UK and returned my book, so now I’m the proud possessor of two mint first editions of Kydd. I was a homesick Nova Scotian in Japan and my Mum brought me over a copy of Tenacious as the novel began in my home city of Halifax, Nova Scotia. I then began to collect the series, and with the Maritime Miscellany, I was able to use it for my MA research. It’s also inspired me to become a Navy League of Canada Civilian instructor. Luckily I accidentally picked up the wrong book. I’d just finish the last Patrick O’Brian and saw a book that I thought was about Captain Kydd so I grabbed it and haven’t looked back. If you’d like to share your first encounter with Tom Kydd do get in touch via julian@julianstockwin.com or leave a message via this blog post. I’ll draw one comment at random for a mystery thank-you prize this Friday. Over the years I’ve toured over the Chatham Historic Dockyard quite a number of times. Shortly to reopen after its winter closure the dockyard is well worth a visit. There are seven main attractions – Command of the Ocean exhibition; Three Historic Warships (HMS Cavalier, HMS Garnet and HM Submarine Ocelot); the Victorian Ropery; RNLI historic lifeboat Collection; Steam; Steel and Submarines; No. 1 Smithery; No. 3 Slip — something for everyone! Given my particular maritime interests one attraction stands out – the Command of the Ocean Exhibit. It features the dockyard story with fascinating examples of innovation and craftsmanship. Of note are two internationally significant maritime archaeological discoveries – the timbers of the Namur (1756), intriguingly laid to rest beneath the floor of the old Wheelwrights’ workshop, and a treasure trove of objects recovered from the sea bed from HMS Invincible (1747) which sank off Selsey Bill en route to Canada in 1758. Recently I was pleased to learn that the long-term future of Chatham’s Historic Dockyard was secured thanks to a lottery grant of £4.8 million for the refurbishment and conversion of the Fitted Rigging House, a Grade 1 listed building. This provided accommodation for yard workers to make warships’ standing rigging and a storehouse for new equipment. The Fitted Rigging House is one of 100 historic buildings and structures at the dockyard, making it the world’s most complete such complex of the age of sail. Chatham played a very important part in the United Kingdom’s Great War effort. It was one of the Royal Navy’s three ‘Manning Ports’, with more than a third of the town’s ships manned by men allocated to the Chatham Division. The war was only 6 weeks old when Chatham felt the affects of war for the first time. On 22 September 1914, three Royal Naval vessels from the Chatham Division, HMS Aboukir, Cressy and Hogue, were sunk in quick succession by a German submarine, U-9. A total of 1,459 men lost their lives that day, 1,260 of whom were from the Chatham Division. Two months later, on 26 November, the battleship HMS Bulwark exploded and sunk whilst at anchor off of Sheerness on the Kent coast. There was a loss of 736 men, many of whom were from the Chatham area. By the end of the war, Chatham and the men who were stationed there had truly played their part in ensuring a historic Allied victory. HMS Cavalier is a C Class destroyer, one of 96 War Emergency Programme destroyers that were ordered between 1940 and 1942. She saw action on convoy duty off Russia, and later, in 1945, was sent to the Far East where she provided naval gunfire support during the battle of Surabaya. She continued with the British Pacific Fleet until May 1946 and is now designated as a war memorial to the 142 RN destroyers and 11,000 men lost during WWII. Containing more than 200 specially commissioned photographs, this book takes the reader on a superlatively detailed illustrated tour of the ship, from bow to stern and deck by deck. 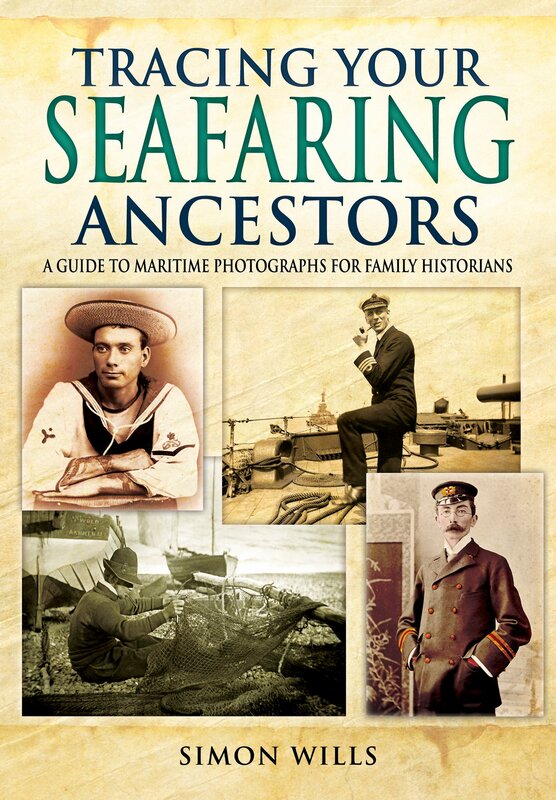 Richard Johnstone-Bryden is a professional marine author, historian and photographer. He is to be commended on this publication which brings the ship so vividly to life, and in a way that I’ve seen seldom matched. There will be a Collectors Set Offer for Persephone, the next title in the Kydd Series, out in May. There will be a Collectors Set Offer for The Baltic Prize, the following title in the Kydd Series. This book will be published in November. Reservations without payment may be made to this address. Please include your full postal address and write ‘Persephone Collectors Set’ in the subject line. We will contact you about payment at a later date. Over the previous months I’ve been celebrating the earlier titles in the Kydd Series, it’s Conquest for this blog. I’d love to hear your thoughts on the book, either as a first-time reader or if you’re a re-reader and have read it more than once! It’s very gratifying for an author to be told that his work has inspired people to go back and read it again. And some of you have told me you have done this more than twice! Either reply to this blog or email me with your thoughts on Conquest. Every respondent goes into the hat for a chance to win a mystery prize. for a joint army-navy expedition to capture Cape Town, South Africa, from the Dutch and expand the British Empire. But in a puzzling move, the Dutch surrender, leaving the British with a restive and reluctant overseas colony while hidden enemy forces prepare to attack. As the threat grows, Kydd tumbles into bed with a beautiful and dangerous French expatriate royalist. The Portuguese explorer Bartolomeu Dias mentioned the area in 1486. Vasco da Gama recorded a sighting of the Cape of Good Hope in 1497. In the late 16th century, Portuguese, French, Danish, Dutch and English ships regularly stopped over in Table Bay en route to the Indies. They traded tobacco, copper and iron with the Khoi-khoi in exchange for fresh meat. Located on the shore of Table Bay, Cape Town was first developed by the Dutch East India Company as a victualling station for Dutch ships sailing to East Africa, India, and the Far East. Jan van Riebeeck’s arrival on 6 April 1652 established the first permanent European settlement in South Africa. Cape Town quickly outgrew its original purpose as the first European outpost at the Castle of Good Hope, becoming the economic and cultural hub of the Cape Colony. Until the Witwatersrand Gold Rush and the development of Johannesburg, Cape Town was the largest city in South Africa. The views from Table Mountain are spectacular. Although you can walk up, when Kathy and I were there on location research for the book we cheated and took the cable car. At its highest point Table Mountain is 3563 feet. When the wind is in the southeast Table Mountain has its own cloud cover that spills down the sides of the mountain, ‘the tablecloth’. Previous blog on Conquest : CONQUEST – The race to empire begins! CONQUEST has been published in the UK/US in English, in translated editions and in ebook, large print and audiobook. Buy on Amazon or The Book Depository (free postage worldwide!) Also available at most bookstores. I’m a bit of a bah humbug man when it comes to the commercialisation of Christmas – but there’s one thing that I fervently believe: a book is a present that, if well chosen for the recipient, will give hours of pleasure and be a lasting reminder in itself of someone putting thought, not just money, into a Yuletide gift. So do consider adding some of these fine books – all with a maritime or military link – to your present-buying list. Hopefully, there’s something for everyone in this somewhat eclectic selection. And for those looking for some fine maritime art prints there’s a special offer from Art Marine – see the end of this blog for details. 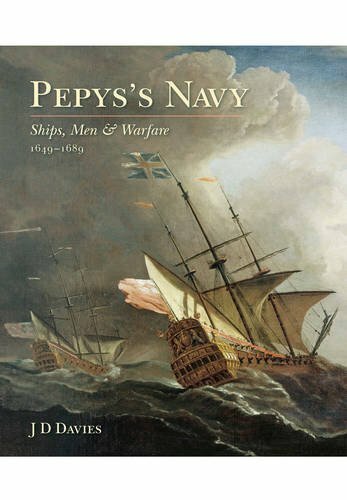 This gorgeously illustrated book describes the English navy in the second half of the seventeenth century, from the time when the Fleet Royal was taken into Parliamentary control after the defeat of Charles I, until the accession of William and Mary in 1689. This crucial era witnessed the creation of a permanent naval service, in essence the birth of the Royal Navy. Davies’s coverage is comprehensive – naval administration, ship types & shipbuilding, naval recruitment & crews, seamanship & gunnery, shipboard life, dockyards & bases, the foreign navies of the period, and the three major wars which were fought against the Dutch in the Channel and the North Sea. When Kathy and I lived in Hong Kong in the 80s she was a member of the Foreign Correspondents’ Club where we met war correspondents from around the world. 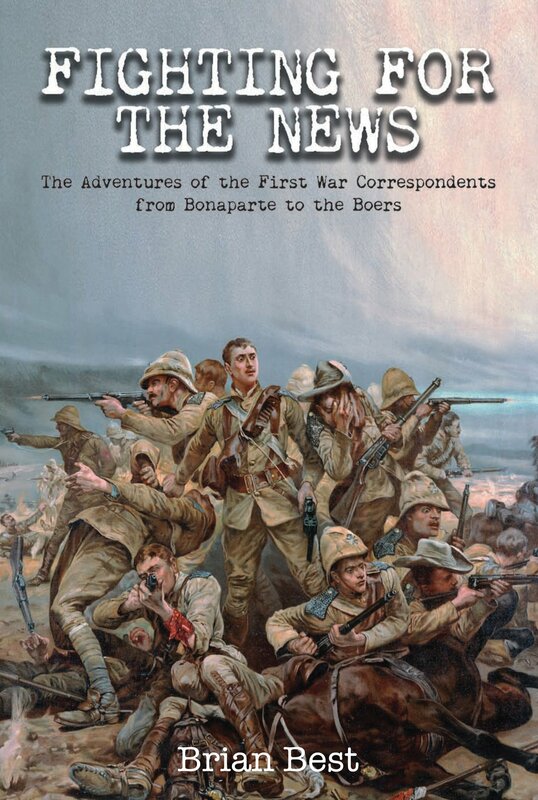 This book focuses on the adventures of the first War Correspondents, from Bonaparte to the Boers. It is some 200 years since a newspaper conceived the idea of sending a reporter overseas to observe, gather information and write about war – in 1807 The Times dispatched Henry Crabbe Robinson to Germany to follow and report on the movements of Napoleon’s Grande Armee. ‘Old Crabby’ was a gregarious bachelor with a gift for languages who could fit into any company. In many ways he was the archetypal foreign correspondent. Robinson was followed by William Russell in the Crimean War and perhaps most famously of all, Winston Churchill, who reported from many fronts. The loss of the emigrant ship William & Mary made news around the world, not once, but twice in 1853. First, when her American captain reported the vessel lost in the shark-infested waters of the Bahamas and the death of over 200 left on board, then again when the truth emerged a tale of abandonment, desperation, and the incredible heroism of a wrecker and his crew. 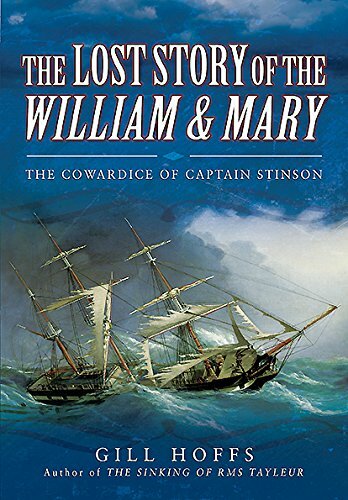 This book shines light on some of the people involved in this maritime disaster, including: Captain Timothy Stinson, the callous mariner who attempted mass murder; Susannah Dimond, the English 19-year-old hoping for a new life in St. Louis with her family; and Izaak Roorda, one of a group of 87 Dutch emigrants seeking to settle in Wisconsin, who found the lifeboat more perilous than the sinking ship. Art Marine are offering a 10% discount on all Geoff Hunt prints, including the Kydd Collection – just enter JSXMAS at the checkout. The offer is valid between now and 15th December. Still time for overseas orders to arrive in time for Christmas! Finally, Kathy and I would like to extend our best wishes to you for the Festive Season! The BigJules Blog will be back in the New Year. There will be a Collectors Set Offer for Persephone the next title in the Kydd Series (out May 2017). As usual, the Collectors Sets comprise a signed, embossed and numbered UK First Edition of the book plus a signed cover postcard. The Sets are strictly limited to 500 in number. First come, first served! We are accepting pre-payment now and every paid order received before December 31 this year will go into a draw for a full refund of the price of the Collectors Set!